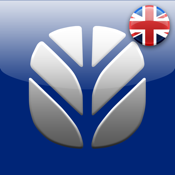 Be updated on latest news and browse the New Holland Agriculture Catalogues, ANYWHERE and ANYTIME. Choose the brochure you are interested in among a wide variety of catalogues for our agricultural tractors, combine harvesters, forage harvesters, groundcare, balers, telehandlers and front loaders. Download only the catalogue you are interested into on your device and access it ONLINE and OFFLINE.